Herbs are the cornerstone of any delectable dish. The right herbs, complimenting the right meal, are often what make the difference between good cooks and great cooks. Knowing what herbs to use, and when, is half the battle; using the best herbs possible is the other half. While a lot of companies will advertise themselves as the highest quality herb option, the only way to really know for sure where your herbs have come from though is to grow them yourself. Not only will growing your own herbs ensure you of their quality, but it will save you money, and make your cooking that much more rewarding. Although learning how to grow herbs at home may sound like a daunting task, it is really far easier than it sounds, and can be done by following a few simple steps. What Herbs do You Want to Grow? Knowing whether you want to grow angelica, basil, parsley, rosemary or oregano, it is important to know what herbs, and how much of each is realistic. Herbs like Basil and lovage, may be what you’re looking for if spice is what you have in mind. If you’re looking for an herb that adds more of a sweet flavor, than you may want to look into herbs like anise and horehound. Knowing what you want to grow will help you know exactly how much space you will need, as well as find out what growing conditions your herbs of choice will need to maximize their potential, and know how to grow herbs at home, that you will benefit from the most. After you have decided what you want to grow, now you should decide where you want to grow. Indoor or outdoor growing both have positives and negatives associated with them. If growing indoors, it is also important to use a south-facing window so the plants get plenty of sunlight. The nutrient content of your soil can have a large impact when it comes to the quality of what comes out of your herb garden. For example, too much rust can drastically affect the flavor and grow-ability of mint. All types of herbs do not do well in gardens that become over saturated too quickly. Whether growing indoors or out, it is important to make sure drainage is adequate. Herbs also do not do well with heavy amounts of fertilizer. While most landscape type plants thrive with heavy amounts of fertilizer, for herbs, it results in excessive amounts of growth and diminished quality of flavor. Most herbs are easily sowed from seed, so there is little that needs to be done to cause germination. More frequently used plants like parsley and basil should be planted where they will be easier to access without causing harm to other plants. Annuals and perennials should be planted separate from one-another and herbs such as mint, should be contained to their own areas as they have a tendency to overtake other plants within a garden. Fortunately, most herbs are not often targets of pests, but they should still be inspected regularly for any unwanted hosts. Plants that are small, still growing, and close to the ground, will be susceptible to attacks from insects like red-spiders. Herbs such as anise, caraway, dill, and fennel will be prone to aphid attacks and should be inspected regularly. As with any type of plant cultivation, it will help to develop a daily watering and inspection schedule to help ensure proper plant health, and to identify and combat any issues that may arise during growth. Leaves can be picked so long as there is enough foliage to maintain growth. Most herbs are at their highest flavoring levels right before flowering, so this is often the optimal time for harvesting. It is best to pick leaves after morning dew has evaporated but before the sun reaches a high point in the sky. After harvesting, wash any dirty leaves with cold water before starting the drying process. There are a few different drying processes that you can use before storing your herbs. The drying process is just as important as the cultivation of the plant as many oils and flavors can be lost during the process. This involves simply hanging the plants upside down for about one to two weeks and is the traditional means of herb drying. This process is a favored by most people because as the plant hangs upside down the oils and flavor are pulled into the leaves by gravity. Putting the harvested plants in a paper bag will help them retain their oils while slowly letting unwanted moisture evaporate. Placing them in the dark while they dry will also ensure a high flavor herb. Oven drying can be done using either a conventional oven, or a microwave oven. This is done by cooking the harvested leaves for a short period of time, for a conventional oven this is done on a low heat for two-to-four hours, for a microwave oven, they are cooked for about three-to-four minutes. While this method drastically reduces the drying time, it almost certainly results in a loss of flavor. Salt drying involves placing harvested leaves in a tray of non-iodized table salt for about two-to-four weeks. This method can only be used on “non-hairy” leaves, but can result in a uniquely flavored herb. After drying, herbs are then washed free from any remaining salt, and are then stored in a glass container. After the drying process all herbs must be either ground down to a fine powder or stored in air-tight containers. For about the first week of storage it is important to inspect the stored herbs daily to see if there are any signs of moisture such as, water droplets on the inside of the container, or at worst, growing mold. If any signs of moisture are present the herb must be removed from storage and re-dried. Knowing how to grow herbs at home is a rewarding activity dating back all the way to even some of the most ancient practices of man. This makes it an ancient human activity stemming from some of the most primitive and pure tasks of our existence, such as cooking and eating. The best chefs have always made sure they knew exactly where their ingredients came from and that they were of the highest quality. As times have changed, this idea has not. Not only is growing herbs economical and fun, but it is the best way to ensure that what you cook is unique and of the highest quality possible. Hi Mike, I have cuttings from my basil plant that I’ve water rooted, you said it’s the worst way to root herbs….how can I save my plants. I live in Fort Lauderdale Florida. Off the subject, but I would like to know about my tomato bed in the greenhouse. I grow tomatoes in my little greenhouse (8′ x 12′) because I live in central Alberta and the summer is not quite early enough to enjoy ripe tomatoes in the summertime if they are grown in the garden. The problem seems to be in my soil. I have two tomato beds. One has a recurring rot in the fruit. Every year that bed produces well, but the tomatoes rot on the bottom. What do I need to do to prevent this? The other bed is fine. I’m not much of an expert on tomatoes, but I’d like for that soil to be as light and fluffy as possible so when it’s watered the plants get moisture but all excess water drains away quickly. This also allows more oxygen flow to the roots and you get a healthier plant. When your basil goes to seed, it’s not necessarily a bad thing. When my basil is fully seeded (mature), I harvest it, remove the leaves and let the seed pods and stems dry. When fully dry, break off branches and crush the pods into a bowl. Use a stainer to remove the tiny black seeds, but save the powder from the pods. Use it like you would black pepper, in a shaker for an interesting taste treat in your recipes! Also, save the seeds and replant the next year’s crop, it only takes a few. You will likely have ounces of seeds to give away or sell from a single plant. I have purple basil planted outside because I like the color. We live in Charlotte, NC and I’m not sure how to prepare them for the winter. Should I dig my plants up and pot them? How do I harvest them? (They have already flowered.) Finally, I’ve had trouble rooting them in water. They grow a couple roots, but when I pot them, they wither. Please help! 🙂 They’re BEAUTIFUL and I would love to keep them. Thank you! The herb article was very good, but one thing confused me. It said sweet herbs are anise and horehound. Anise, yes, but horehound?! My experience says it is the most bitter herb I have ever made tea with. Yet, the tea made from its leaves is very valuable in curing colds, chest conjestion, coughs, etc. But BITTER. Maybe I have another variety from the author of the article. The sweetest plant in the world I am told is stevia. And I believe it. The seed are so small, you have to be careful in planting them. Out of 18 seed, I got 3 plants. (I ordered the seed from Pine Tree Company.) The company is good; it probably was my impatience that I didn’t take better care of such tiny seeds. However, one plant is all you need. I am trying to root it now and it’s been a week and it is still green. Eat a leaf and it is like candy! Really, it is surprising! And beat up several leaves to put in your tea or coffee and you have a sweet drink without the sugar and calories and it adds vitamins too. You can buy it now as a sugar substitute…and if you don’t have a plant, I recommend it highly as many other sugar substitutes are very bad for your health, but stevia comes from a healthy herb…the sweetest herb in the world! Try it. You’ll like it! I really enjoy your emails, Mike! Thanks so much! How do u grow it? Sarah, thank you for your help tips!!! Does anyone know if I can grow a bay leaf tree or shrub in North Carolina. I would love to have one and where can I order one. I’m a retired restaurant owner and its sauce chef, so when I wenbt into farming/gardening I naturally gravitated to herbs and as a Master Gardener, I had the fortune of being trained bu one of the foremost herb authorities in the US, Arthur O.Tucker (The Encyclopedia of Herbs), who stated that one of the most important factors in herbs is to try an keep them in their natural Mediterranean growing environment of light, well drained, sandy soils and stay away from fertilizers. He actually said to top pots and soil with a thin layer of coarse sand, which helps refect the sun and keep moisture in the soil and not on the leaves, recomending soaker hoases, or early morning irrigation. Learn about your herbs, many of them do a lot more than flavor food, or provide medicinal use. Dill is a great trap crop for butterfly offsprings, mint keps rodents away, catmint keeps termites away and basil around your crops, coupled with marygolds, keep many harmful insects away. I grow 7 varieties of basil, each impart a different taste to food, five of them are highly ornamental and two of them are great to flavor cooking oils and vinegars; add to those wonders that I don’t have to buy their seeds again, as I keep some plants of each variety for the specific purpose of gathering seeds, which is incredibly easy. My sauces are not boring because I vary the herbs I use to flavor them. Add basil in the last two minutes before turning off the heat. Mike, I love your blog/column !!! I always learn something. I am a Master Gardener. I grew my own, with the help of our staff,all the herbs,flowers & produce in season for my popular restaurant on San Juan Island in Washington state. “Springtree Eating Establishment & Farm”. We were the first ones on the entire west coast to put edible flowers on our plates. We even put them on the side of lattes etc.. It seemed the thing to do because I have always garnished with flowers at home. I am going to do backyard market gardening this coming growing season. Getting ready when it is cold outside. This year January was the only cold month. Perfect for us gardeners !! Please keep up the good work & I will keep reading. As you say, “Get those hands dirty”! place in freezer bags. Always have Basil through the winter months. Thanks Rose, great addition to this article. I live in NE Wa state, zone 5, and someone just gave me 2 Walla Walla sweet onions and their seeds. If you’ve never had these sweet onions you are missing out. Anyway, He told me to plant the seeds in Sept. to harvest in July. Is this correct? I would love to have these in my own garden. Also, can I plant them near my raspberries? Also, after reading this page I am going to plant my perennial herbs along my walkway near the back door. I have been growing them in pots and I think they would do well there. Can I transplant them now or wait until fall? Thanks for all the knowledge on here. I live in a country town with the bathroom/toilet outside which is a pain, so rather than go outside I half fill a normal bucket with water and when I have to piddle, I do it in the bucket then water my plants on a rotation basis the next morning. This not only saves water but also fertilisers my garden for free, and they love it, and so do I. Sure wish more people would mention where they live when talking about their gardens! Dig the garlic when the tops wither and dry up. Put the bulbs in an old nylon stocking and hang up out of the weather to dry. Garlic is planted in the fall 3 to 4 weeks before ground freezes. Mulch and water well. Here in north central Washington zone 4 we plant 1st or 2nd week of October and harvest first two weeks of July. You want to harvest when top 3 to 4 leaves are still 50% green. Those leaves form the bulb wrappers which allow longer storing. I have been looking for thyme seeds in all the stores around town, but couldn’t find one. I found all kinds of herbs except thyme. I successfully planted oregano, basil and cilantro in pots. I have onions, carrots and celery planted in my garden from the parts I cut off when preparing these vegetables. Just stick them in the ground where they get enough sunlight, and keep moist. Try “Renees Garden Seeds” in Califoriia and Johnny’s Selected Seeds. in Maine. Both have a great online catalog. Selling Herbs are a great way to get some extra cash. Either as starter plants (here Mike is the expert on backyard gardening) or as cut & bagged herbs that are kitchen ready. I am shocked at the high price of herbs in the grocery store. When I compare the cost of 1 pot of basil at $3.49 (3 plants per pot) versus what it sells for in the produce counter (about $3 for a small container), I figure there’s got to be a huge profit in herb sales. And herbs are pretty much maintenance & hassle free. Just plant, water, fert & pick. 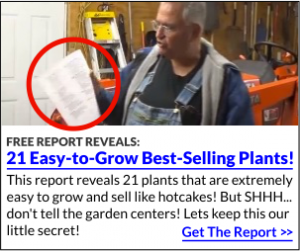 So here’s another way to turn your backyard garden into a money making enterprise. Great project for the kids who are off of school for the summer-a lemonaide stand + herb sales. Or to develop a route of your neighbors & friends that you can deliver to (like a CSA only for herbs). All good ideas. I was at the grocery store yesterday picking up some lemons to add to my fresh tomato juice that I am making right now. I glanced at the packaged herbs and saw a small pkg of basil. $7.99!!! I laughed at the nerve of it all and the basil was wilted. lol We had our first freeze yesterday, season is over but I had harvested my basil the day before. at $7.99 a handful I figured I could retire and move to Costa Rica and leave the snow behind! I will be making pesto this afternoon and freezing it for use this winter. 2 tomatoes that I stake on tall poles. There is so much basil that several of my neighbors also pick from my plants (at my urging since the plants tend to get really bushy). Usually there is enough basil at the end of the season that I make 2 large containers of pesto. I freeze it for winter pasta dishes. This year I am growning parsley & thyme in pots on my deck where they get lots of sun. The herbs are the only things the rabbits don’t eat. Bunnies do browse in my perennial flower bed though. And just yesterday & today I’m doing more tomatoes & bell peppers in large pots that will be on my driveway & front step. I do have to stake the potted tomato plants,execpt for “Patio” which is a bush variety. Yeah, I know it’s mid-July but all of June was a monsoon season & planting here in Minnesota is way behind schedule. The only thing I found out is not to plant tomatoes & bell peppers next to each other. The tomatoes don’t do well-something about the ppeppers roots that inhibit the tomato plants. Hi, C Dorr, when the weather turns cool, bring your tomatoes and peppers indoors or into a greenhouse to continue growing. You’ll have their lovely fruit in winter. On overcast days, just keep a fluorescent light over them, which are very cheap to run. You could also increase their numbers by cuttings put directly into pots of compost. When your indoor tomatoes flower, help pollinate them with a feather, since you won’t have insects to do that for you. You can also use a Q-tip..works great. If your sweet Italian basil has gotten tall and leggy, and gone to seed, pinch off some side shoots and root them in water. Once they are rooted, plant them in pots or containers, or a sunny area in the garden. They’ll produce a nice fall crop, long after the older plants are gone. Sow seeds of cilantro each week until late September. Once cilantro produces a seed head, the plant is finished. By sowing the seed each week, you’ll have a steady supply of fresh cilantro leaves until frost. I love my herb garden! It is on the south-facing wall of my brick home, so it gets lots of sun, and stays warm. Check out your spice rack to see which herbs you use the most, and try growing those. You can also try planting the dill seed, coriander, and fennel from your spice rack. We like to make pesto and then freeze it in a zip-top bag, pressed flat. When a recipe calls for basil, just break off a piece. I am able to harvest most herbs into November — thyme is nearly year-round. For invasive mints, try cutting the bottom out of an ice cream bucket, and then planting the mint in the ground in the bucket – this will keep it in check for 1 year. I had some beautiful basil from seed. We just had pesto last week. We have had a lot of rain here in Florida and I think something “fungal” has jumped my plants. Do you know of anything to do or should I start over? Hi, Bruce, your basil certainly has fungus. There are several types, mostly caused by warm, wet weather. They all cause rotting or wilting of roots, leaves and other plant parts. The best thing is to destroy the infected plants and remove their surrounding soil. Then either plant resistant varieties, or move your new plants to a different bed. Also, add fresh organic compost. Water your plants without wetting the leaves (avoid overhead watering). Make sure the plants have enough hours of sunshine to dry off excess moisture that causes fungus. Thanks for your input. I have removed those and planted new seeds at a new location and we are already harvesting. Don’t forget, the butterflies love dill, caraway, parsley blooms.They can land on the flat umbels and sip from multiple tiny flowers. Fresh sage has a lovely flavor and pretty blue flowers. Good with Butternut Squash. I’ve found sage is yummy on my eggs along with basil. Just find a Japanese maple tree in your town with good red color, then this fall get permission to collect some seeds from the tree. I love the smell of rosemary. 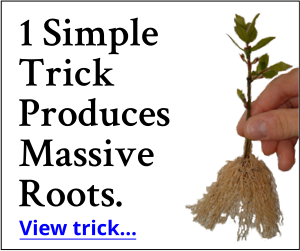 I root or buy small plants and grow them into bushes. Now that I live in a climate that is a little too humid for rosemary, it sometimes it gets patches of yucky looking leaves in the middle. In dry climates, the plants get spindly. But it will forever by my favorite. Oh! and it makes poultry and other dishes taste scrumptious when I just go out and cut some fresh sprigs when I get ready to cook. Horehound (Marrubium vulgare) is a bitter herb not a sweet herb. Basil smells good too and I love to pick off flower starts as I get the basil on my fingers. Nice smell to it. My basil did well this year. My rosemary was not impressive bt it was rainy season in smmer. Will be better in winter as it is dry season.